Ascutney Outdoors (AO) maintains partnerships with local communities, organizations and businesses working toward the common goal of recreation and conservation on the slopes of Mt Ascutney. The 2010 closure of Ascutney Mountain Ski Area was a blow to the hearts and spirits of the residents of West Windsor, the surrounding communities and visitors from all over. When the town’s select board realized other communities in Vermont were reviving their economies through mountain bike tourism, they wondered if an expanded recreational trail network could make Ascutney and the village of Brownsville a thriving destination again. 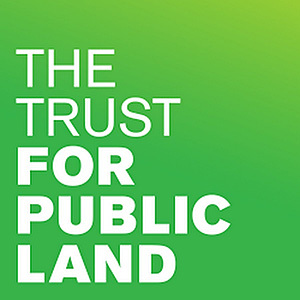 In 2013, the ski area came back on the market and the town worked with The Trust for Public Land to develop a plan to purchase 469 acres of the ski area land and add the acreage to the current town forest, thereby securing the trail network. At a special town meeting in October of 2014, voters of West Windsor overwhelmingly approved a ballot for the select board to move forward with negotiations to purchase the land. Many voted with the hopes a small ski area would reopen and the mountain bike trails would be preserved. The town itself was not in a position to operate a recreational network or ski area, but delegated operations to Mt Ascutney Outdoors, Inc in 2015. Ascutney Outdoors and STAB are collaborative partners, and work cooperatively to manage the mountain bike and recreational trail network located on the slopes of Mount Ascutney, known as Ascutney Trails. Established in 2006 by a group of mountain bikers, hikers and outdoor enthusiasts, STAB is a volunteer organization, whose goal is to build and maintain a sustainable and viable local trail network through partnerships with public and private landowners in the towns surrounding Ascutney Mountain. Early on, STAB focused on the West Windsor Town Forest and Mount Ascutney Resort land as a unique and contiguous forest to build a sizable, public trail network that could provide endless trail combinations and a huge variety of rides. From this vision was born the acclaimed Ascutney Trails trail network. Orange Lake Resorts is the developer and manager of the Holiday Inn Club Vacations Mount Ascutney Resort, which is adjacent to the Ascutney Trails property. Orange Lake Resorts is a long-time supporter of the activities and programs offered by AO and STAB, and in 2016 provided significant financial support for the purchase and demolition of the old burned down base lodge. Orange Lake Resorts and AO have formed a strong partnership and are working together to develop new activities that will be enjoyed by resort guests, local residents and visitors to Ascutney Trails. 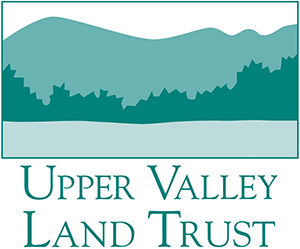 UVLT is a co-holder of the conservation easement on the West Windsor Town Forest and worked closely with the West Windsor community to develop an unprecedented easement to secure recreational access to our remarkable Ascutney Trails network in perpetuity. UVLT is responsible for monitoring the trails and property, and oversees and advises on the care and stewardship of the town forest land. In 2015, UVLT coordinated with AO and STAB to offer and lead hikes and mountain bikes rides, and hosted UVLT volunteer work days to remove invasive species and perform trail work. In the coming years, AO plans to join with UVLT to provide expanded outdoor experiences, including educational programs and interpretive walks focused on understanding the unique and special ecosystems of Mt. Ascutney. The Ascutney Trails Association was incorporated as a non-profit organization in January of 1967. Its intended purpose is for the maintenance of present and future trails summiting Mt. Ascutney, building and maintaining shelters, hunting out special points of interest to which trails may be opened, gathering items of history and anecdotes on the mountain, and publishing a guide book. The team at The Climb Fitness Center is dedicated to providing our community with a quality recreational fitness facility and exceptional service. We are wellness professionals committed to create an enjoyable, fun, safe, and friendly environment that enables our community members, guests and employees to achieve their optimum wellness and good health.